Shoes… I caught my dog, Zoey, licking a pair of sandals that I kicked off when I sat in my recliner. Looking around, I spot a pair of loafers sitting on an end table and a pair of cross trainers sitting by the garage door. Three pairs of shoes within 50 feet of me and I’m not even a ‘shoe’ person. I’m smiling as I look at each pair. What do these shoes say about me? The pair of black loafers on the end table . . . another victim of one of my pets who decided the back of the shoes needed chewing. I’m thinking it may have been my cat, Pippin, but then Zoey does have a fascination with the taste of my feet. Those loafers scream… comfortable, but rather unattractive. They were perfect to wear with dress pants or jeans. I didn’t have to worry that my feet would ache after wearing them hours. It was just about time to put them to rest because the comfy shoes have been worn so much the front color was fading, but because they were ‘tasty’ I no longer have to worry about wearing them. I really should put them in the trash can, but it’s hard to say goodbye to such a loyal pair of shoes. The Nike cross trainers by the door leading into the garage are sitting in obedience until it is time again to go for a long walk or go to the gym. They are light weight shoes black in color with shocking pink ties. They’ve seen their fair share of miles walking pavement, hallways, on the treadmill, and on the elliptical. Sometimes they are simply the most comfortable shoes to wear when teaching and when I put them on I sigh with appreciation of how great they feel although, they definitely say ‘these are for comfort, not beauty.’ However, I do love my trainers! The brown sandals scattered with abandon next to the recliner signals the start of wearing open toe shoes because of the warmth of the weather. It was so nice to slip them on this morning without looking for matching socks. My toes smile because they’re free to wiggle in the sunshine and breathe in the air. Now my toes just need the color of a pedicure, so they can be flirty in their bareness. Today wasn’t the first day to wear open toe shoes. This week, I slipped on my favorite pair of wedge sandals with the black flowers. The heel is a comfortable wedge…not too high. However, I wasn’t wearing them very long until the top of my feet were being rubbed. Since my feet are still tender, the bands on my most comfortable pair of sandals almost brought tears to my eyes by the end of the school day. I realize callouses, to some extent, on feet are a good thing. The following day, I decided to wear another pair of my favorite sandals. My black high wedges with the memory foam. Usually my feet smile when wearing them, but that day, my toes seemed to be constantly falling over the top of my shoes. What’s up with that? How do sandals that I love to wear in the summer suddenly become shoes that make me say, “Ouch!” These shoes are high and when I wear them I feel so much more attractive. God didn’t bless me vertically and the extra height almost makes me feel super model-ish because then I’m almost 5′ 6″. These were my first shoes that I bought from Dillard’s. I had never spent more than $40 on a pair of shoes before except walking shoes. However, I splurged and I was forever hooked on quality made shoes! I’d talk myself out of being frivolous and be totally sensible! I also can’t make myself buy shoes that aren’t comfortable. I think if I can’t wear them all day then why purchase them? It’s almost like deciding if you enjoy a person enough to put the effort it takes to be friends or merely acquaintances. I do have a friend, Sally, that has a rainbow assortment of shoes. She doesn’t mind if they are uncomfortable or if they will go only with a few outfits. She doesn’t take in consideration that the heels will be killers in a few hours. I admire that in her. I like that she doesn’t let ‘limitations’ dictate to her about her shoe fashion. I love teasing her about how many pairs of shoes are in her closet. To be truthful, I wish I could let my ‘restrictions’ go, but I know in reality there is a part of me that only considers comfort and usefulness when it comes to shoes. Someone should really do a study to see what that says about our personalities. It is this same person who compliments me when I wear a pretty pair of shoes or says something when I wear an unattractive pair. 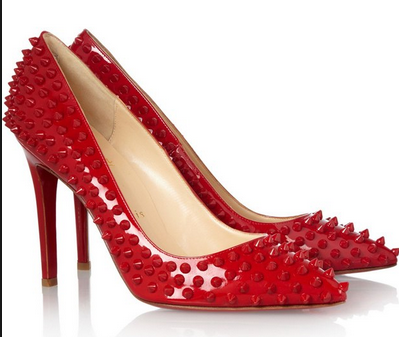 She is honest enough to say…’Don’t buy those!’ I am so drawn to ‘manly’ shoes. 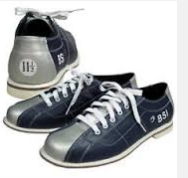 I absolutely love men’s leather shoes or bowling shoes. There is something so classically handsome about a pair of brown leather or two-tone shoes! Perhaps that says something about my personality too. I remember my dad playing Nancy Sinatra’s song “These Boots Are Made For Walkin” quite a bit when I was growing up. I do have a few pairs of boots, however most of my shoes are sensible and comfortable and made for wearing! What’s your relationship with shoes?